Take a leisurely stroll through El Hierro’s rich history one lava-rock house at a time at Guinea Ecomuseum. The most significant of its kind in Europe, this aborigine settlement features traditional houses with thatched roofs. Meanwhile, Risco de Tibataje cliff in El Golfo Valley dominates the backdrop, making for a more rustic feel. Welcoming each visitor are twenty dwellings, some are well-preserved and furnished, while others are ghostly ruins. These houses provided shelter for the early inhabitants of the island, the Bimbaches, in the 16th to the 20th centuries. Underneath is a fascinating lava tunnel that is as captivating as the sights above the ground. 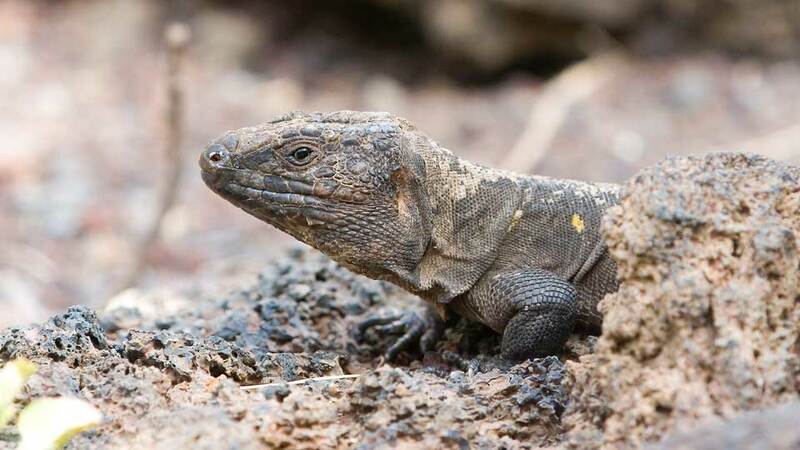 Moreover, the area is shared with an organization that is undertaking a captive breeding program for El Hierro’s giant lizards. These elusive endangered species that were previously thought to be extinct are engrossing and a sure hit with kids. Indeed, Guinea Ecomuseum and the underlying area has something in store for visitors of all ages. Unlike the gray and black exterior of the houses, the story of the establishment and survival of the village is full of colors. Known as one of the oldest Aborigine settlements in El Hierro, Guinea was built long before the pre-Hispanic period. In the years that followed, many villagers abandoned the area due to flooding and landslides. In spite of these, some chose to stay ignoring the perilous cliff-side location. Since its opening to the public in 2007, however, yet another devastating tragedy occurred. Continues rain in this subtropical island resulted in flooding that, fortunately, did not claim any human lives. However, a large part of the facilities and animals undergoing study were not spared. Today, what visitors will see is a smaller, restored version of the primitive village, resilient and still radiating traditional Canarian feel. Known also as Ecomuseo de Guinea y Lagartario, the complex houses two one-of-a-kind attractions. For less than €10, visitors may enjoy a guided access to the well-preserved village and the lizard sanctuary. These tours run three times a day from Tuesday to Sunday. The Guinea Ecomuseum has an undeniable raw yet mesmerizing beauty about it. 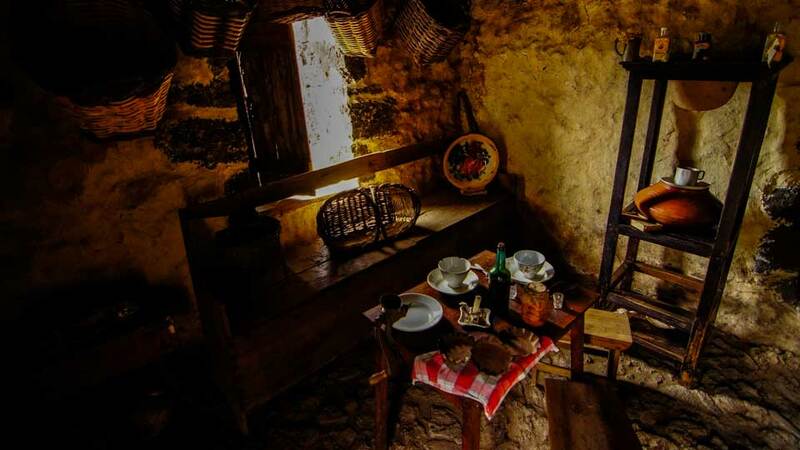 Featuring four houses that can be explored, visitors may experience firsthand how the original settlers lived centuries ago. Most of the studio-type interiors are basic, with only bare necessities including unique kitchen wares. 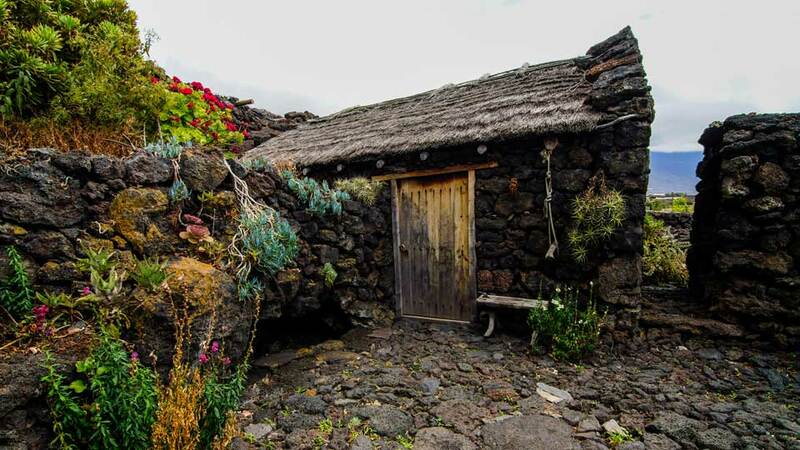 Yet, each of the houses reveals unusual aspects of traditional El Hierro architecture. Also in the village is another impressive volcanological site, the lava tunnels. Once used as shelter and storage place for goods, these well-illuminated lava tubes have a surreal feel. Here, visitors learn more about the formation of tunnels and other interesting facts about the island geology. Thus, a trip to the museum will not be complete without setting foot in the majestic tunnels. In the second century, the island of El Hierro is known as the island of reptiles. However, the scarcity of food and frequent attacks of wild animals led to a significant population drop. Among these reptiles is El Hierro’s giant lizard. This species which can grow to more than 20 cm was believed to be extinct until the 1970s. Consequently, the rediscovering of the lizard led to the establishment of the Recuperation Centre. The sanctuary and breeding center is open to the public, allowing kids and kids at heart to have an up close and personal encounter with these endangered species. Also, the government enlisted the entire country of Spain to help protect the giant lizards. After a few fun hours at the museum, there is no better way to end the experience than indulging in some great local food. It’s a good thing there are a handful of excellent restaurants to satisfy each visitors’ cravings. Whether it be local or international cuisines, coffee or cocktail drinks, Frontera has it all for everyone. This modest and often-overlooked gem in Frontera is perhaps the best on the island of El Hierro. With its very few tables and small and cozy interior, Guanchine Frontera offers an intimate gastronomic experience. Enjoy a variety of mouthwatering, wood oven cooked local and international cuisines and top off your meal with the best wines or beers. The friendly hosts David and Anna are also ready to help out in case visitors have a difficult time choosing which dish to sample. In addition to that, the restaurant’s location allows for a sweeping view of the towns below and the Atlantic Ocean. Sunset La Maceta is a lovely bar and restaurant off the coast of Frontera. Those who have a penchant for dramatic sunsets are fascinated by the million-dollar view this ocean-side bistro offers. Diners may savor their meals at the outdoor terrace, enduring some salt water splashes, or within the comforts of the floor to ceiling glass walls inside. The restaurant offers 5-star rated fusion and vegetarian-friendly dishes and mouthwatering desserts. To complete the chill vibe, visitors may top off their meal with their favorite wines or cocktail drinks. Guests who are in search for the best bang for their buck may dine at El Pozo de la Salud. A pretty basic place with bare necessities, dishes are served with no fancy presentation. What diners can expect though are fresh and tasty seafood cuisines that are, without a doubt, some of the best in town. They also serve excellent tapas and other Canarian dishes. Don’t leave without a glass of Frontera wine or the owner’s home-made liquor which makes for great paint strippers. From El Hierro Airport, visitors driving on their own may take the HI-1 and HI-2 motorways, passing by the island capital Valverde. Then, follow the HI-5 road that will take guests to Guinea Ecomuseum in about half an hour. On the other hand, those coming from the island’s main port, Puerto Estaca, may take the HI-2 and HI-5 motorways. With almost the same paths as the airport route, the journey will also take around 30 minutes. Meanwhile, the island’s Transhierro offers drop-off services to major towns in El Hierro including Frontera. From the bus stop, guests may take a taxi to get to the museum. For more details, it would be best to visit their website, www.transhierro.com. Science has not proven that time travel is possible. About the closest thing to going back in time is stepping foot in Guinea Ecomuseum. With the dirt roads leading to restored stone houses, this open-air museum offers a delightful peek into the old island life. Each unique house reveals so much more than the bygone era’s way of life, it also shows the evolution of local living. Next door, the giant lizard sanctuary does not disappoint. The precision and care it takes to preserve these endangered species is no easy task. But, the center somehow manages with the help of the government and aid of some organizations. Indeed, this delightful complex shows how El Hierro gives so much importance to their natural and historical treasures.